in modern and minimalist style. 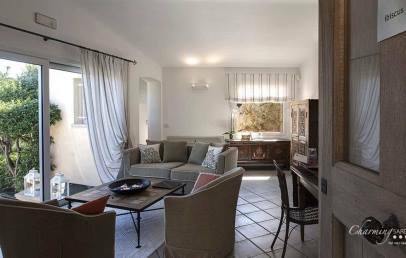 It’s recommended for couples who appreciate the privacy and beauty of the surroundings, but also for families with children who rather enjoy the closeness to the water park in Baja Sardinia, as well as the proximity of the beach to the Hotel. 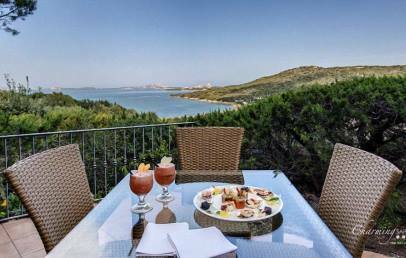 L'Ea Bianca Luxury Resort dominates Cala dei Ginepri, just 150 m from the sea, directly opposite the breathtaking archipelago of La Maddalena and 10 minutes from Porto Cervo. 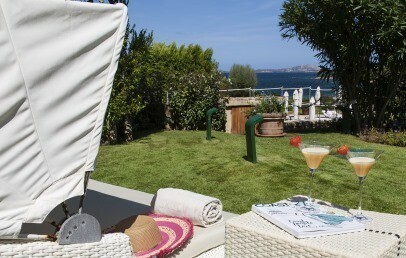 It enjoys a convenient location for those travelling to and from Olbia-Costa Smeralda airport, the ports of Olbia and Golfo Aranci, the main harbours for connections with the mainland, and those of Palau and Santa Teresa di Gallura, which connect Sardinia with Corsica. A gentle hillside covered with Mediterranean undergrowth that drops down to the turquoise and emerald waters of the sea, framed by a splendid beach. 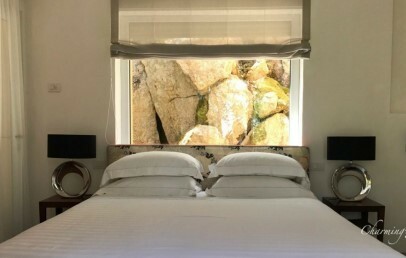 This natural amphitheatre of rare beauty opposite the islands of the La Maddalena archipelago, sandwiched between the dark green juniper trees and the white rocks fashioned by time, is home to the L'Ea Bianca Luxury Resort, with exclusive accommodations and Villas furnished, using the finest materials, and fitted with the most innovative technology. Sumptuous environments specially designed within a single context for those who love a little luxury. 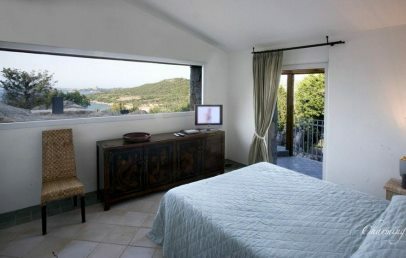 Each bedroom is very elegantly and originally furnished and is equipped with a spacious balcony, sea view and/or view of the garden and swimming pool. 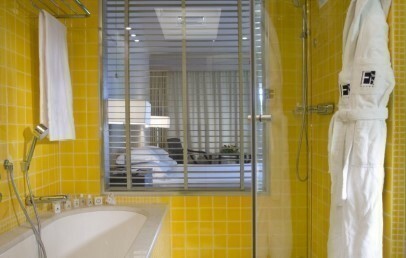 The bathrooms are fitted with showers and whirlpool tubs with chromotherapy features. 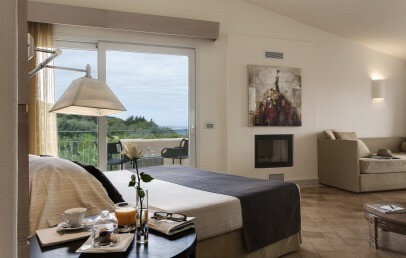 13 Superior rooms with sea view, in modern style, with balcony, large bathroom, for approx. 25 sq.m. 9 Deluxe rooms with sea view, in modern style, with balcony, large bathroom with bathtub for chromotherapy and hydromassage, rainfall shower, approx. 25 sq.m. 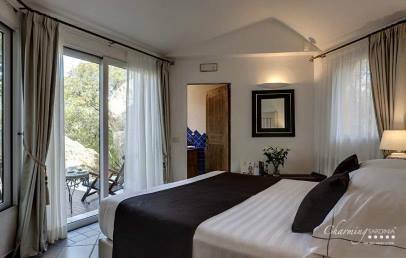 3 Garden Deluxe rooms with sea view, in modern style, with garden and direct access to the swimmingpool, large bathroom with bathtub for chromotherapy and hydromassage, rainfall shower, approx. 28 sq.m. 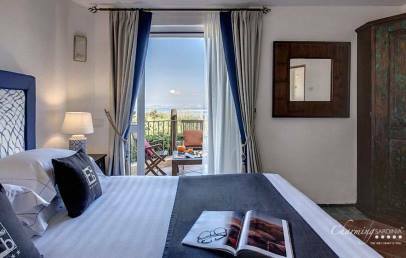 5 Junior Suites with sea view, in modern style, with living room, balcony, large bathroom with bathtub for chromotherapy and hydromassage, rainfall shower, approx. 35/40 sq.m. 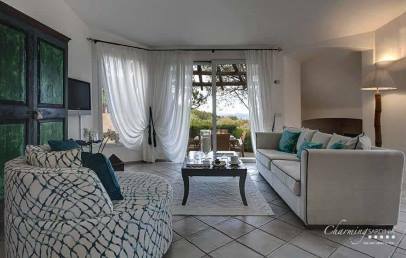 1 Suite with sea view, in modern style, with large bedroom with chimney corner, bathroom with Jacuzzi and rainfall shower, living room, big garden with direct access to the swimmingpool, approx. 66 sq.m. 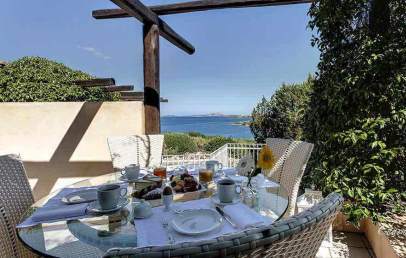 Moreover different, exclusive villas are available are located on the hill on the back side of the hotel and offer more privacy: Villa Iris, Villa Gardenia, Villa Ortensia, Villa Ibiscus, Villa Bouganville. The villas are independent, but offer the same services as the hotel, such as daily housekeeping, use of services (SPA, beach service, swimming pool, restaurant). The beach is about 200 meters away. The hotel has private beach, equipped with umbrellas and sunbeds (1 umbrella, 2 sunbeds, 2 beach towels per room included): it is Cala dei Ginepri, within walking distance, just 150 m from the hotel. The hotel is nestled in a surface area of over 20,000 sq.m. that slope gently towards the sea, crisscrossed by a myriad of paths leading to the private beach. The Recrea Wellness & Spa Centre is designed to regenerate body and mind. The wellness area offers chronotherapy lights, a hydro-massage pool, a relaxation area, a sauna and a gym area. Guests can book a wide range of massages, wellness and beauty treatments and natural and biocompatible beauty products from an Italian Brand Philip Martin’s, are used to enhance the body care: Jojoba Oil, orange essence, Aloe purely cultivated in Italy and olive oil from the Mediterranean coast. Day Spa Packages are available to book on-site. The à la carte Lunaria Restaurant offers exquisite dishes of Mediterranean tradition, reinterpreted in a modern and original, but also a wide selection of international cuisine. A wide range of valuable national and international wines will accompany and crown your meals. At the Lounge Bar Lunaria, overlooking the pool, guests can relax every night with the piano bar. The Bar-Restaurant on the beach (opening end of May 2019) offers exciting sunsets and romantic atmospheres. Made entirely of wood, it has toilets and showers and it blends perfectly with the Mediterranean vegetation. It can accommodate up to 100 guests. As an alternative to the beach, guests can sit in the comfortable infinity pool, with loungers for sunbathing. Other services offered are: the boutique "L'Ea Bianca Luxury shop" and the smoking area "Cactus Garden". Double rooms furnished in modern style, with bathroom wth double shower or tub/shower. 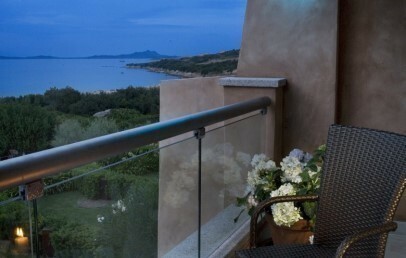 The Superior room has an equipped balcony with sea view. Complimentary Wi-Fi connection. 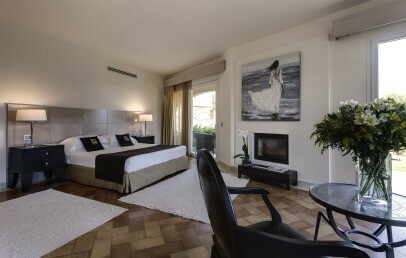 Double rooms furnished in modern style and refined. The bathroom has a chromotherapy/hydromassage bathtub and a separate shower. 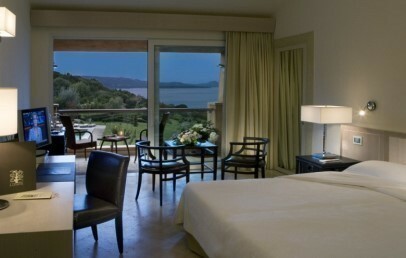 Deluxe rooms have a terrace with beautiful sea view. Complimentary Wi-Fi connection. Comfortable and spacious room with fully equipped garden area for exclusive use (with sunbeds), with direct access to the pool area and aice sea view. 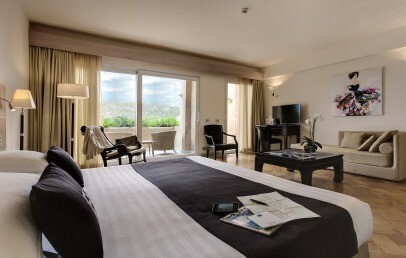 The room has a double bed furnished in modern style. The bathroom has a chromotherapy/hydromassage bathtub and a separate shower. Complimentary Wi-Fi connection. Spacious double rooms furnished in modern style with a living zone. The bathroom has a chromotherapy/hydromassage tub andseparate shower. 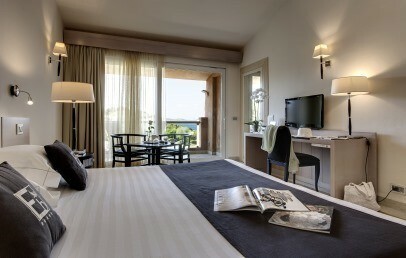 Junior Suites have an equipped balcony and a beautiful sea view. Complimentary Wi-Fi connection. 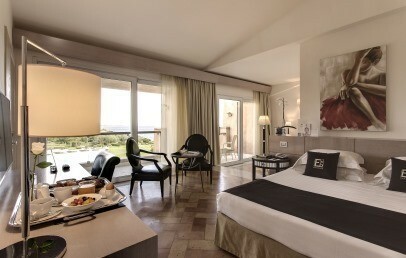 Spacious and exclusive Suite furnished in modern style. It has a double bedroom with living corner and a separate living room. 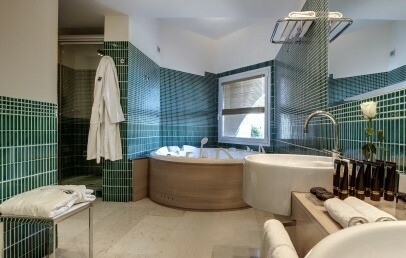 Two bathrooms are in this Suite, one with big shower and the other with a whirlpool for two and shower. 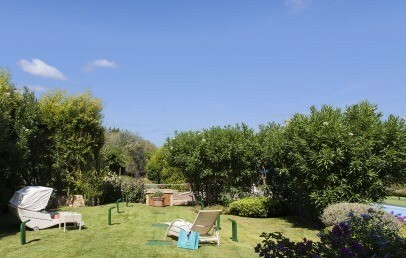 The Suite has a large private garden of approx. 80 sq.m. with sunbeds and direct access to the swimming pool. Complimentary Wi-Fi connection. Villa Iris covers an area of 97 sq.m. spread over three levels and can hosts a maximum of 6 people. Each room is characterized by large windows, care details and ornamentals rocks. In the ground floor are located a large living room with sat TV, Wi-Fi free internet access and connected bathroom (without shower); a fully equipped kitchen with ceramic glass hobs, refrigerator, electric oven and dishwasher. On the ground floor there is also a double bedroom with en suite bathroom with box shower. 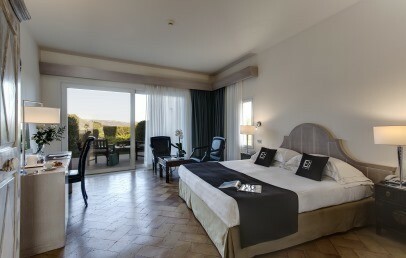 The second and third double bed rooms are situated in the first floor. Each one provides en suite bathroom with shower and on request many additional comforts. 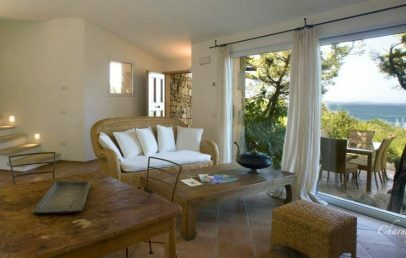 Villa Iris is the closest to the reception and has the fewest number of staircases, making it the most suitable choice for families with small children. 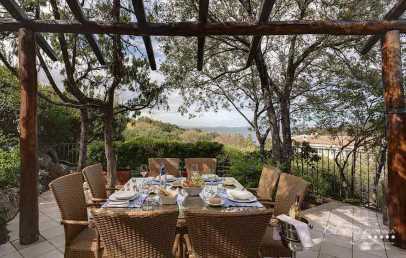 With its 110 sq.m., built on three levels, Villa Ibiscus offers ample space and can accommodate up to six people. 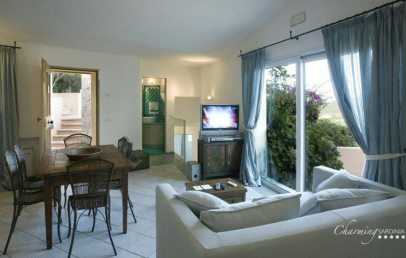 Surrounded by green Mediterranean plants, it has a spacious lounge with satellite TV and WI-FI. On the same floor is the kitchen and one of the three double bedrooms, while two others are on the first floor. All rooms have private bathroom, equipped with a handy towel warmer. 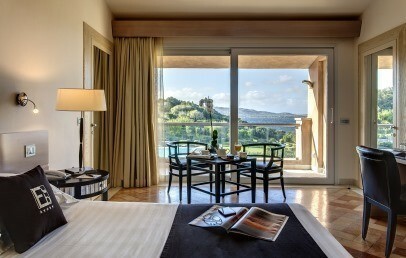 Villa Ibiscus is the most spacious of the three villas of Ea Bianca Luxury Resort. 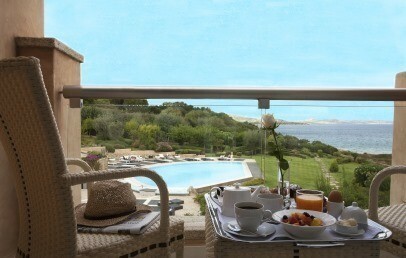 From its three terraces you can enjoy spectacular sea views. 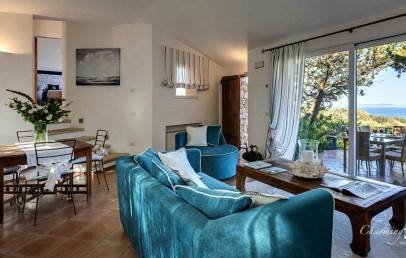 The Villa Ortensia is on two levels on 100 sq.m. surface: the bedrooms (three in total) are distributed one on each level, while the third is an annex with private bathroom and independent access. The kitchen is equipped with refrigerator, dishwasher, oven and hob. The lights disposition makes the atmosphere even more warm and friendly, allowing you to fully relax and enjoy a well earned rest in peace. The three terraces offer a fabulous panorama of the sea and the surrounding nature, whose you can enjoy in the lush garden of your private villa. The services of Ea Bianca Luxury Resort will be always at your disposal if you wish. The meals for the children up to 3 y.o. and the baby cot should be requested upon confirmation (free of charge). Max 1 baby cot per villa!